Credit Cards are basically instruments introduced to extend per-approved credit line for your spend. While using them one has to be careful about Credit Utilization Ratio and impact on Credit Score. Most of our readers posed me a question on how much Credit can one use on the per-approved credit line of Cards, Personal Loans, etc without affecting one’s credit scores. Credit Utilization Ratio is the percentage of available credit limit that one is utilizing. For example on a Card with per-approved credit line of Rs 100,000 if you use Rs 60,000 then your CUR is said to be 60%. As a ordinary user you may think that you are well within your limit. However, this is wrong as Credit Information Companies like CIBIL / Experian don’t want you to use more than 30% on any given credit card account. Using more than that negatively impacts your Credit Score as well as you send out a signal to future lenders that you are a credit hungry person. If you have two credit cards from different banks, then split your usage of Rs 60,000 to Rs 30,000 on each and remain good in the eyes of lenders. How much Impact Credit Utilization has on Credit Score ? Credit Utilization can impact upto 25% of your CIBIL / Experian Credit Score. 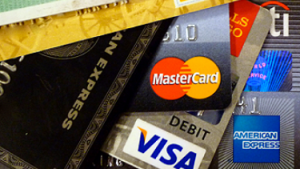 As already detailed above, stay within the 30% utilization Limit of the Credit Limit on your cards. Due to unexpected emergencies, should you have to cross the spending limit, then ask the Bank to extend your credit limit to avoid getting negatively affected. After the spend, the most important factor for healthy credit score is payment of the borrowed money. It is highly recommended that you pay off your credit card bill in full at the end of each billing cycle. If not full, at least pay 50% well within the due date. Use Credit Wisely as these days Computer Algorithms are watching borrowers very closely and they can aid banks in making their decisions affecting your credit score. This entry was posted on Monday, October 31st, 2016 at 12:27 pm	and is filed under Credit Adviser.